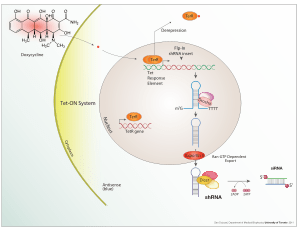 When Clinical Application of miRNAs? When its time comes, prognostic tests will be first. It’s still early to tell how well microRNAs (miRNAs) will prove clinically useful. Preclinical research findings indicate their central role in controlling cellular pathways. This novel class of nucleotides, about 20–25 nucleotides in length, affects gene expression by interacting with messenger RNAs. 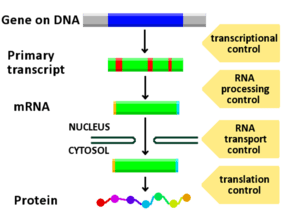 But unlike Small Interfering RNA, siRNAs, miRNAs are encoded in the human genome and function as natural regulators of global gene expression. the translation and/or degradation of their target mRNAs. Because of their role in controlling “suites” of genes and, ultimately, pathway function, these molecules have attracted considerable scientific and investor interest in the control of diseases ranging from cardiovascular diseases to cancer. functioning as both tumor promoters or suppressors. suggesting their potential as anticancer drug targets. a “miRNA signature” specific to those cell types or disease states. they identified a 9-miRNA signature that differentiated invasive (IDC) from in situ carcinoma (DCIS). featuring an expression reversal along the cancer progression path. in addition, miRNAs for overall survival and time to metastasis. Dr. Croce posed that targeted prognostic tests using miRNA will be available within the next two years. the problem he suggests is validating the signature in a large enough cohort of patients. They used deep sequencing, an extremely sensitive approach to the determination of miRNAs because you count the molecules. Studies have used microarrays and RT-PCR, and his group used general microarrays and validated RT-PCR. Their method avoided the possibility of artifacts (by counting). Sequencing permits counts of molecules to provide good data. then monitored global changes in gene expression levels. involving the downstream consequences of miRNA-mediated changes in regulatory gene expression. pivotal modulators of cardiovascular biology and disease in mice and men. cell-specific miR-regulated gene expression is integral to cell fate and activation decisions. inflammatory responses of endothelial cells or macrophages. cleavage of the terminal loop of miR-precursors by the RNase III enzyme,Dicer, to produce miR duplexes. preferential loading of a specific strand (ie, the guide strand) onto the miR-induced silencing complex (RISC) is common. an individual miR can affect the expression of hundreds of target mRNAs. tiny slices of genetic material that orchestrate how we are assembled and function. The study pinpoints the molecular regulators of epigenetics — the process by which unchanging genes along our DNA are switched on and off at precisely right time and place. In the past 20 years, scientists have discovered that some proteins, called epigenetic factors, traverse the static genome and turn the genes on or off. The staggering number of potential combinations of active and inactive genes explains why a relatively small number of genes can carry out such a wide range of functions. these switches work to turn genes on or off. piRNAs key role in coordinating biological activity. “This is the first major mechanism discovered that controls where epigenetic factors —the gene switches — are to be placed in the genome,” Lin said. triggered when the wrong kinds of piRNAs guide epigenetic factors to activate the wrong genes. Blocking the action of these piRNAs should become a new opportunity to treat cancers, Lin said. Xiao A. Huang and Hang Yin of Yale are co-lead authors of the paper. Lin and former Yale professor and co-author Michael Snyder, now of Stanford University.